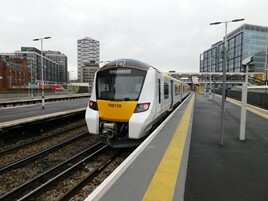 The key lesson of the disruption caused by the May timetable change “is that we should respect timetable planning deadlines - they’re there for a reason…” Thameslink Industry Readiness Board Chairman Chris Gibb told the Transport Select Committee. “The industry should know how long it takes to plan a timetable, turn it into drivers’ rosters and make it work,” he said. “It’s not just an industry process - others feed into that process. Stakeholders have demands of timetable changes often very late in the day. We as an industry have to have the courage to turn around and say: ‘I’m sorry but you can’t have that extra stop at three days’ notice because the timetable won’t work with it’. For the FULL story, read RAIL 857, published on July 18, and available digitally on July 14 on Android/iPad. For the FULL story into the decision to rollover eight TOC timetables to May 2019, read RAIL 857, published on July 18, and available digitally on July 14 on Android/iPad. For the FULL story of GTR, Northern and Network Rail management appearing before the TSC in June, read RAIL 856, available now.